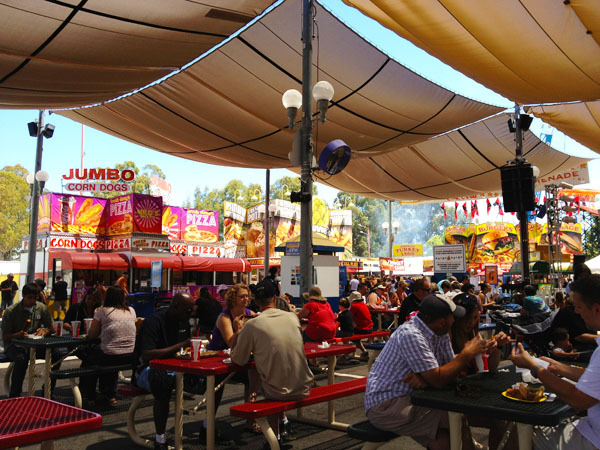 My long birthday weekend continued yesterday with a trip to the California State Fair with my mom. 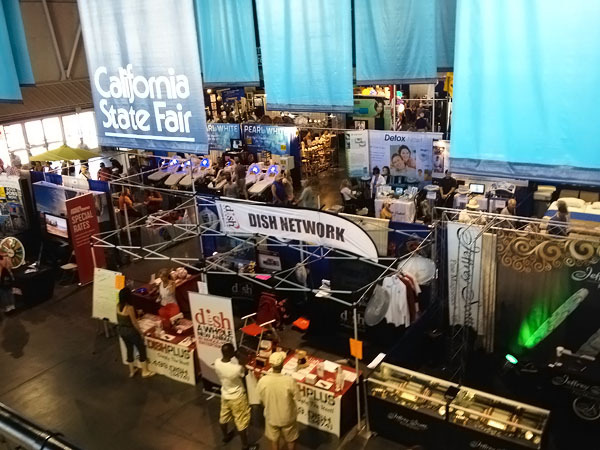 It sounds corny, but I still adore the fair as an adult even though much of it is the same every year, same wacky products for sale, similar shows, same food, etc. The car displays are one of my favorites because there’s no sales person breathing down my neck as I thoroughly check out the vehicles. 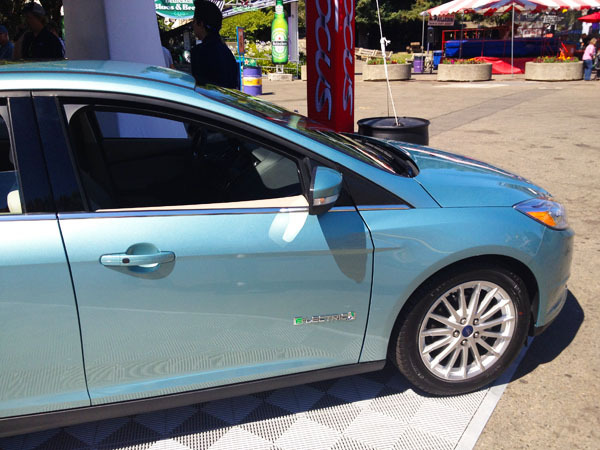 As I do at every festival, I had to check out the latest eco-friendly options on display to consider for my next car, like the electric Ford Focus which I didn’t know existed! Electric cars intrigue me, especially with my current short commute to work. But they also make me nervous for long road trips and lack-of-options if I find myself stuck with a long work commute again. 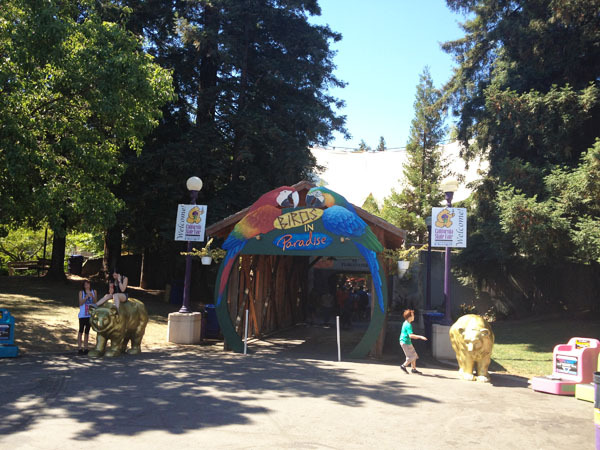 We also headed to the petting zoo like kids to see the animals. 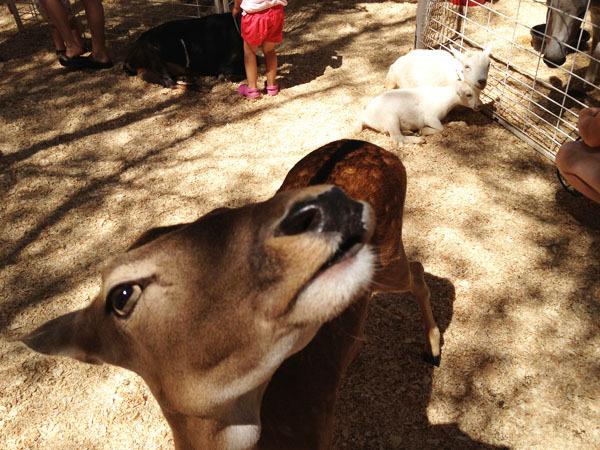 There was a large variety of animals in the small area – deers, goats, llamas, chickens, wallabies, ducks, pigs, etc.. This deer followed us through the area finding my mom’s purse delicious. I could have spent hours with the animals petting and snapping pictures, but I also felt bad for them confined in the cage with so many wild kids. 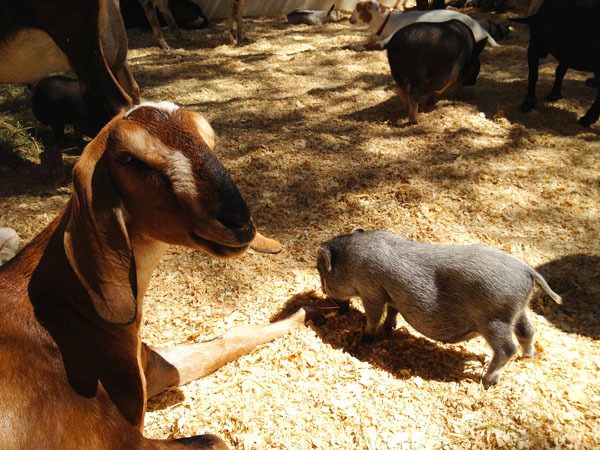 Especially the tiny pot-bellied pigs that were the size my chihuahuas and probably getting stepped on. After we moved into the farm animal display area which really disturbed me because the fair is still doing the live pig and cow birthing shows where large, pregnant mama pigs are kept in tight cages in the horrid heat to give birth for spectators to witness. And there were pens with 1-5 day old calves by themselves on display when they should be with their mothers. 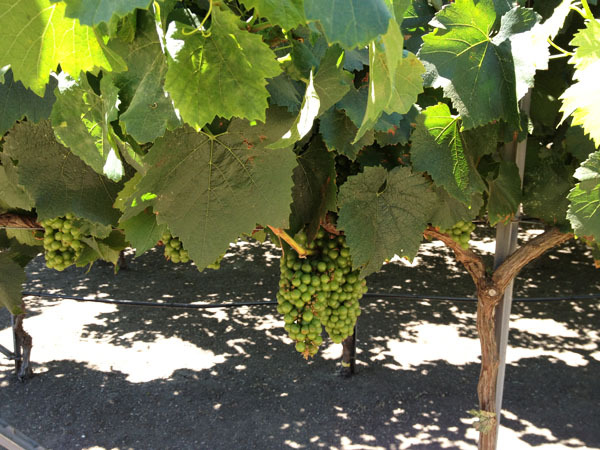 I couldn’t take much more of that area, so we moved on to the farming section to check out a gorgeous display of growing fruits and veggies. 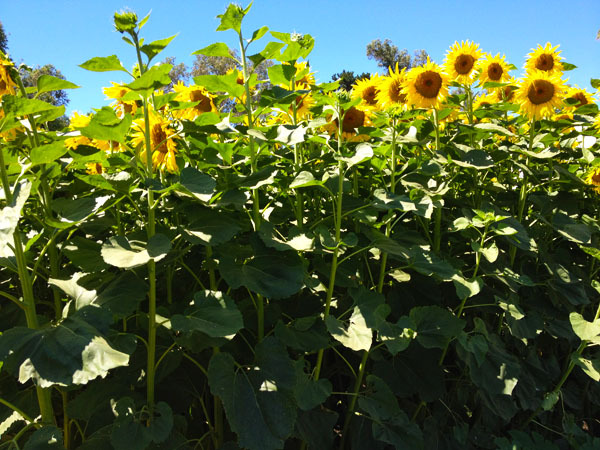 It’s such a pleasant area that I could also spend hours in gathering garden inspiration and learning about new crops. 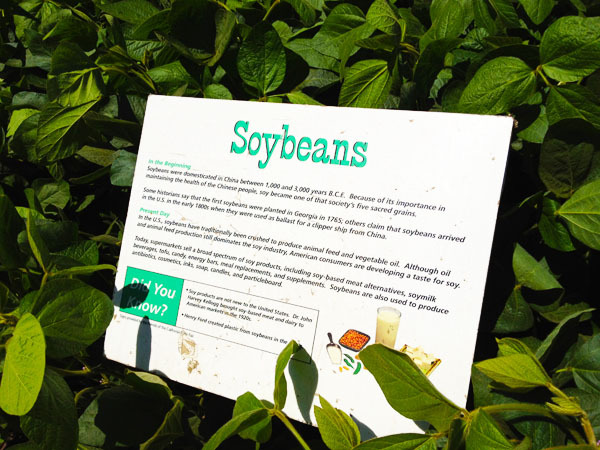 And seeing what soy bean plants look like which I want to try growing in our garden some day. We grabbed some fresh fruit from the farmer’s stand before heading to the main food court area for lunch which was a display of every type of fried food possible! 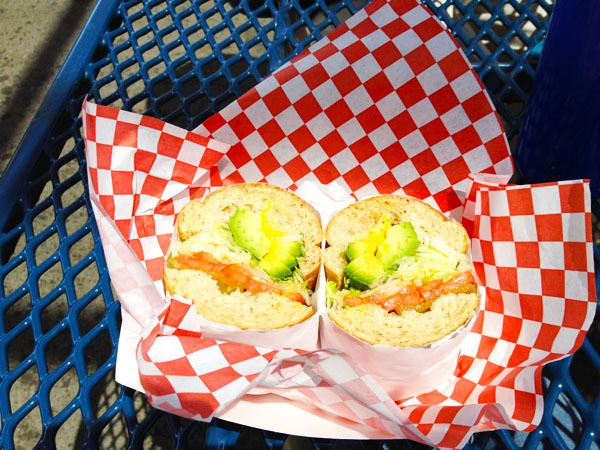 I did find a good vegan avocado veggie sandwich to enjoy with the fresh fruit. But couldn’t help noticing what was being consumed at the table near us. 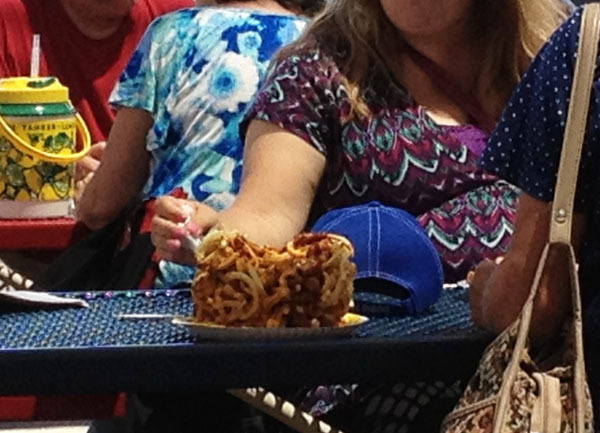 That is a smashed mountain of chili cheese fries, it literally looked like more fried food mass than the human stomach could possibly hold! And it seems to be a popular item at the fair this year. How many calories do you think would be in such a mass? 2,000? 4,000? Yuck! 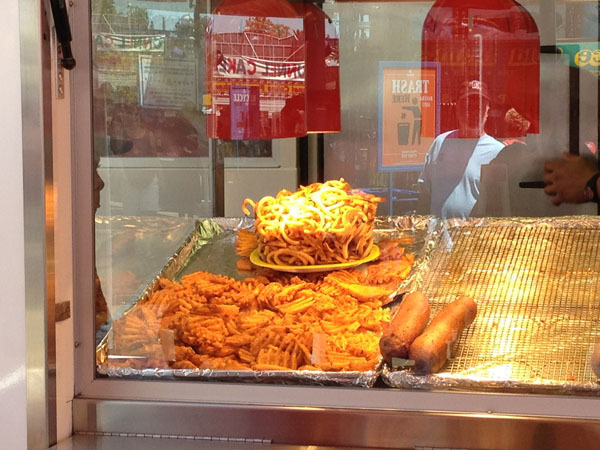 Of all the food booths, I didn’t find my two favorite fair splurges – mango-on-a-stick and kettle corn. That kept me out of trouble I guess. We also checked out the market area which I find too fun looking at the wacky “miracle” products for sale. 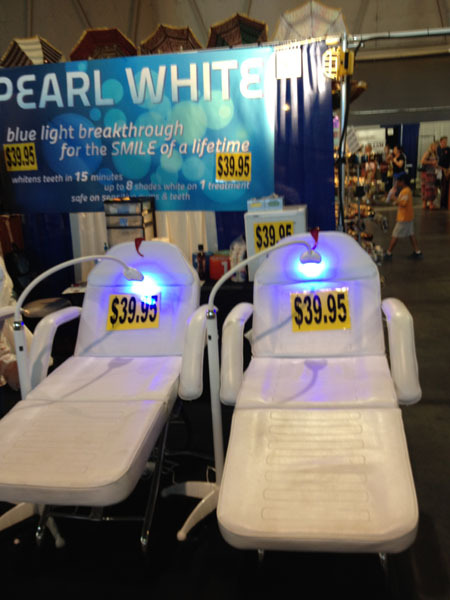 Would you have your teeth whitened at a fair? 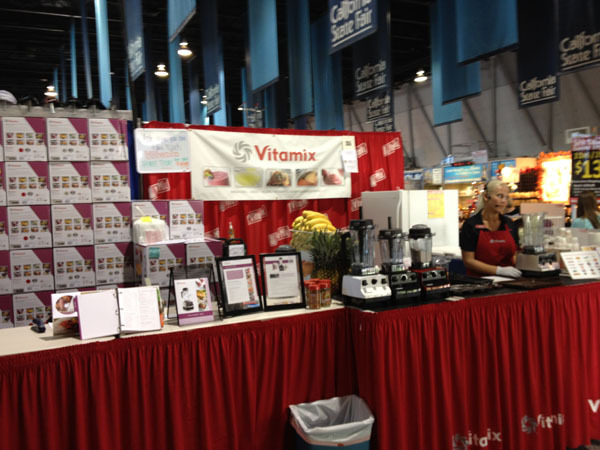 Of course there was a Vitamix booth. 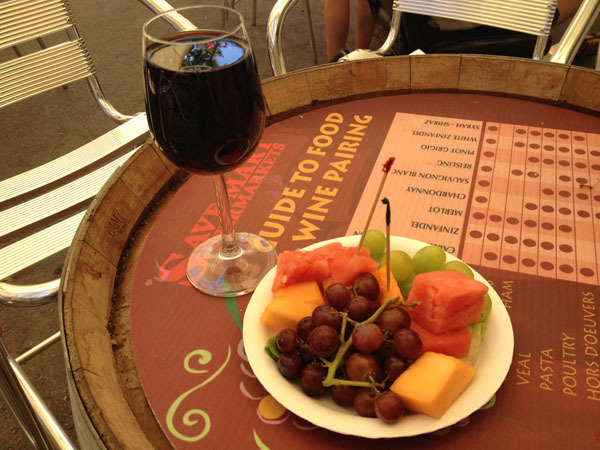 After hours of walking in the hot sun, we wrapped the day up in the wine section with a glass of zinfandel and some fresh fruit. Overall the fair was a lot of fun checking out all the art and educational displays and the people watching never gets old. 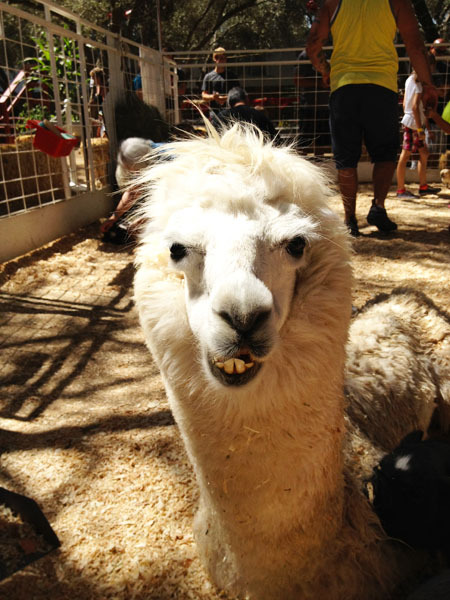 Ive never been to the CA Fair. One day I need to go! Wow, I’ve been to my share of county and state fairs but yours looks really over the top! you have restraint! i think i always splurge on something bad at a fair. do love the day though and glad you have had a fun weekend!